Downtime is a unique British 1995 sci-fi movie from the Doctor Who universe (but unofficial) featuring treasured characters and talent from the franchise and only now released on DVD – it’s a must see for fans of the Time Lord – Even if he doesn’t appear in the movie. We do have two of the best loved characters. Brigadier Lethbridge-Stewart and Sarah Jane Smith. Not only that, we meet for the first time Kate Lethbridge-Stewart – with an almost, 20 year wait before she became an “official” character. We follow The Brigadier and Sarah Jane Smith of UNIT who investigate New World University; a sinister school run by old enemies Victoria Waterfield and Professor Travers. The technology obsessed University holds a gateway to Earth made by classic foe the ‘Great Intelligence’. Fighting alone this time – without their famous time-travelling scientific advisor – The Brigadier and Sarah Jane are hard pressed to decide who is friend or foe as they search for a missing Locus, which binds the Intelligence’s power. The battle is broadened when the Brigadier’s own family is threatened and UNIT faces a powerful new breed of Yeti! 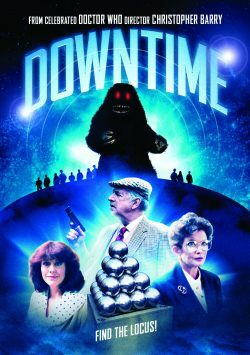 Downtime is an unofficial sequel to the Second Doctor serials The Abominable Snowmen and The Web of Fear written by celebrated Doctor Who author Marc Platt. Fighting onto DVD from November 16, 2015.